Whether it be cruising a halfpipe, launching air off of a kicker, or sliding off of your favorite park jibs, there is tons of fun to be had in the terrain parks around North America. The best part is that each one offers up a unique experience that caters to all different levels and abilities. We went through them all and put together a list of seven of the best terrain parks in North America to check out on your next ski trip. Home to the 2010 Winter Olympics and a mecca for terrain park enthusiasts, Whistler offers two parks that cater to beginner and intermediate level skiers and riders. The School Yard Terrain Park is specifically built as a kid zone for children to learn and develop their skills, while the Habitat Terrain Park is constructed and inspired by aspects of nature. It starts with a beginner-to-intermediate section of jibs and jumps followed by an intermediate-to-advanced section. On the Blackcomb side, three parks that serve up a little of everything. 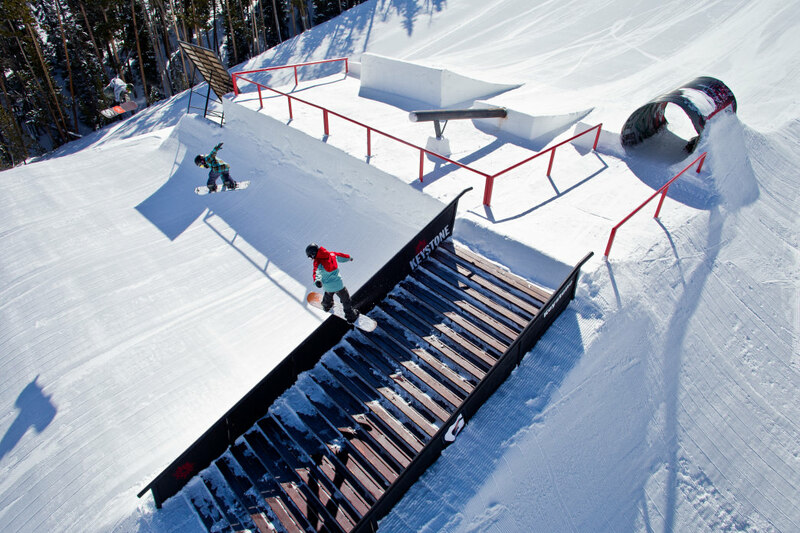 The Big Easy Terrain Park is a mix of small rails, rollers, and mini-hits for beginners. The Terrain Park is the next level up, combining intermediate and advanced features. This park is the perfect place to see if you are ready for the massive spines, kickers, rails, and jibs of the expert zone called the Highest Level Park. Breck offer four terrain parks with plenty of jumps. Breckenridge is home to four world-class terrain parks, and you’l have no problem staying busy. The Freeway is the most renowned of the four parks for its ‘Pro’ status: expect gigantic jumps, a 22-foot superpipe, and a box/rail line that allows you to test all the board slides in your arsenal. For a bit more variety, Park Lane is an intermediate and advanced terrain park filled with rails, boxes, and jibs. If you’re looking for something a little bit more intermediate, check out Trygve’s Terrain Park and for those entry-level skiers and riders, there is Highway 9. The Unbound Terrain Parks of Mammoth are a work of innovation that has set a precedent for terrain parks around North America. The five parks here offer up a little bit of everything, from the 22-foot superpipe in the main park to the multiple jib and jump lines of South Park. Whatever you are looking for, Mammoth probably has it. Disco, Wonderland, and Eagle Playgrounds are great for gaining some experience with mini-boxes, roll-overs, and spines that begin small and gradually get bigger as the park continues on. From here, Forest Trail is an intermediate stepping-stone to slightly bigger jumps and jibs. Once you have mastered those, hit the more advanced terrain found in Jib and More, South Park, and Main Park. These three expert pro-level parks will open up even more opportunity for air tricks off of big kickers and a variety of rail lines. Northstar has a chairlift that runs just to its terrain parks. 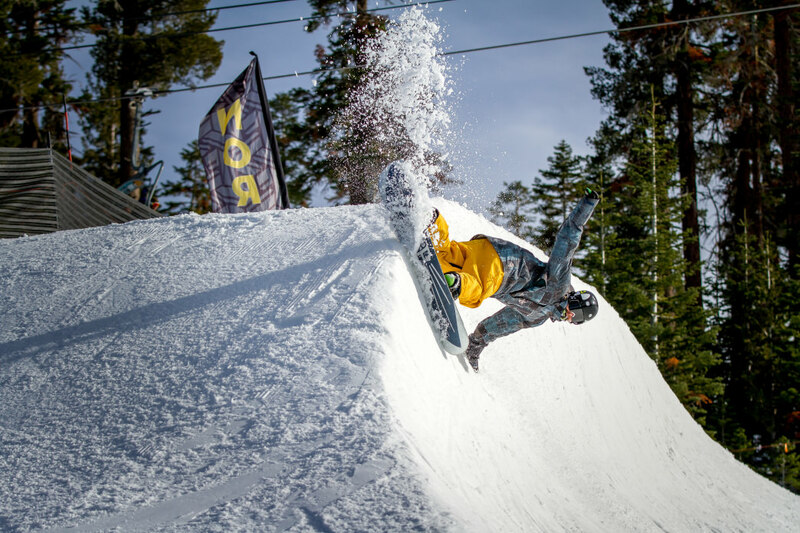 Northstar California has consistently been held in high regard as one of the best terrain parks in North America. Head up Vista Express and you’ll see terrain parks to your left and right bursting with activity. The lift provides access to nine different terrain park zones. Riglet Park is designed for kids six years and under, while the Playground, Forerunner, and Sidewinder Burton Progression Park also have extra small features. Lil’ Stash and Moonshine are the next step up, followed by Pinball, and then Pipeline with two 18-foot halfpipes and one mini pipe. Deemed as one of North America’s most progressive pipe and park set-ups, Park City Mountain Resort offers 9 different terrain parks and two halfpipes. If you’re looking to get your start in the terrain park world, the friendly features of Little Kings at the Park City base and Pinedraw draw at the Canyons base will ease you into the rhythm and flow. Pick Axe at Park City and Transitions at Canyons offer some medium-scale jumps and features to try out, while 3 Kings and Pick ‘N Shovel have some amazing jumps, all types of jibs and rails, and a 13-foot mini-pipe. Test out your pipe-riding skills on the biggest stage of all: the Eagle Superpipe. Standing at 22-feet high with a run length of 550 feet, this is not a challenge to take lightly. Big Bear in California is a resort that is almost solely dedicated to terrain parks. The three terrain parks here offer up a little bit of everything. The Skill Builder Park was made with beginners in mind, featuring low impact and non-intimidating jumps. Don’t miss the Freestyle Park, built for all levels with a 12- and 18-foot halfpipe and a mix of multi-skilled jumps and jobs. One of the more interesting parks at Big Bear is the Red Bull Plaza, an intermediate to expert-level park constructed to transform the mountain into an urban playground with a mix of rails, pipes, wall rides, and spines. A51 consistently earns awards for its great features. 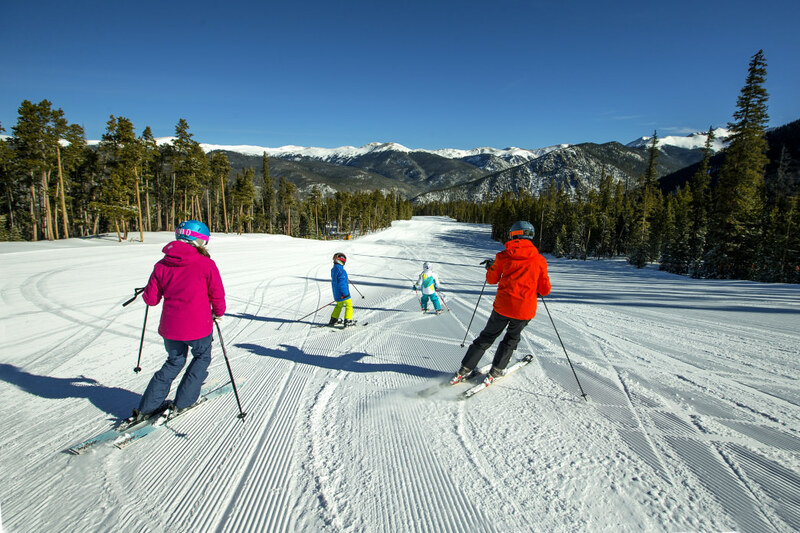 Home to the award-winning A51 terrain park, Keystone is packed with 60 acres of park features spread over six different terrain parks. Starting small in the I-70 terrain park, you will be greeted with petit boxes, rails, and jumps that get progressively larger as the park continues on. Moving up a level to Park Lane and The Alley you will encounter medium level jumps, jibs and a quarter pipe that will help you to build up the courage to try and craft your freestyle skills. For those looking to step on up to the largest park, Main Street is the place to air it out in the triple jump line. Whether your goal is gaining the finesse to skillfully glide off of a 60-foot kicker or discovering the thrills of completing a solid rail slide, there is a profound joy to be had in the many terrain parks of North America. Get out there, explore, and discover the features that can take your snow experience to new levels. Originally written by RootsRated for Rent Skis. How Do You Know If You’re Ready to Try Blues?